Tai Chi Chuan contains the study of relaxing, not collapsing. To flump on the sofa, to slouch as you work at your desk, to lean on a wall whilst standing. These are all states of collapse. On the day I understood this I made a decision to try training myself to either be physically present, or if really tired, to lie down and properly rest. This idea was an early attempt to train the concept of relaxing not being collapsing. A good phrase to use is ‘relaxed attention’ as if we are following the Tai Chi philosophy we are learning how to better relax whilst fully doing. At first this may be somewhat tiring, but eventually it is less tiring and certainly helps with stress. If you are a habitual sloucher, the way you stand will be containing patterns of extra tension in some muscle sets and an absence of use in other muscle sets. All this needs ironing out. When we slouch we do not share the body weight evenly down through our skeletal structure into the feet and ground. If it is a long term habit, weakness and muscle imbalance can become ingrained in the system. This will make you prone to injury, overall weaker and less able to genuinely relax whilst doing. 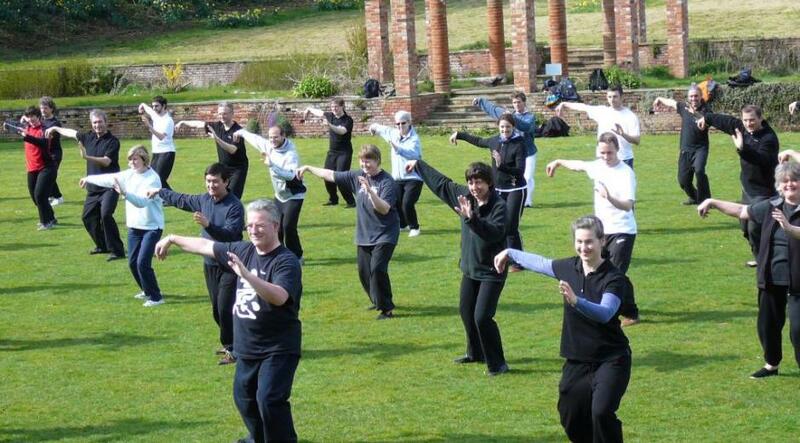 Practicing Tai Chi Chuan will show you the energetic benefits of removing your slouch or your tensions. As you work towards this you will become calmer whilst doing, so less tense and achey by the end of the day. The training will harmonise mind and body and strengthen the whole system, for whole use. As a result life’s load is properly shared through all of mind and body. You will feel less stressed. This is why real relaxation is a cultivated practice. Once you have developed the power to properly relax, then you have the strength to slouch, should you wish. But right now, untrained, your slouching is making you weaker. If you feel that the study of relaxation would benefit you, please look up your nearest Tai Chi class and begin a fruitful pathway to a more relaxed life, even when there’s lots to do.